Live in the Phoenix/Scottsdale/Mesa area? 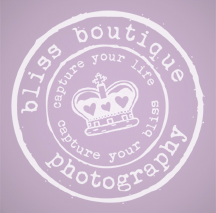 My friend Vanessa Gibbs of Bliss Boutique Photography is offering a screamin' deal this coming Saturday! 2. She has some great new props: an old trunk, weathered guitar case, red vintage baby stroller, two rusted baby-blue and yellow metal kids' chairs, and of course tutus and and flower headbands galore. 3. You get 15 minutes of fame. 4. You will receive 10 full res edited photos. 5. Vanessa loves color, texture, layers, shoes and accessories. 7. 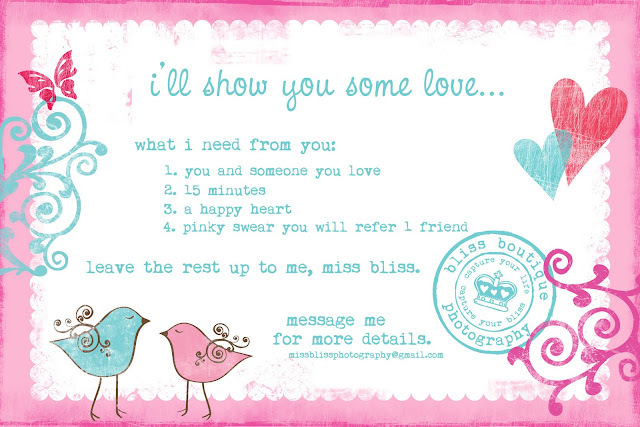 Refer a friend or bring one with you to take part in this special.